-Mix the rice, onion soup and chicken, and put mixture in casserole dish. 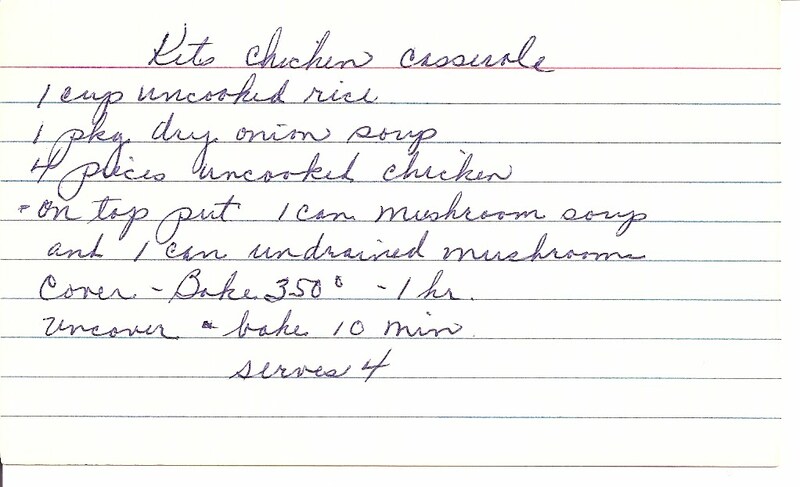 -Layer mushroom soup and undrained mushrooms over top. -Cover and bake at 350 degrees for 1 hour. -Uncover and bake for 10 minutes.